Like the National Psoriasis Foundation says, psoriasis isn’t contagious, but awareness is! 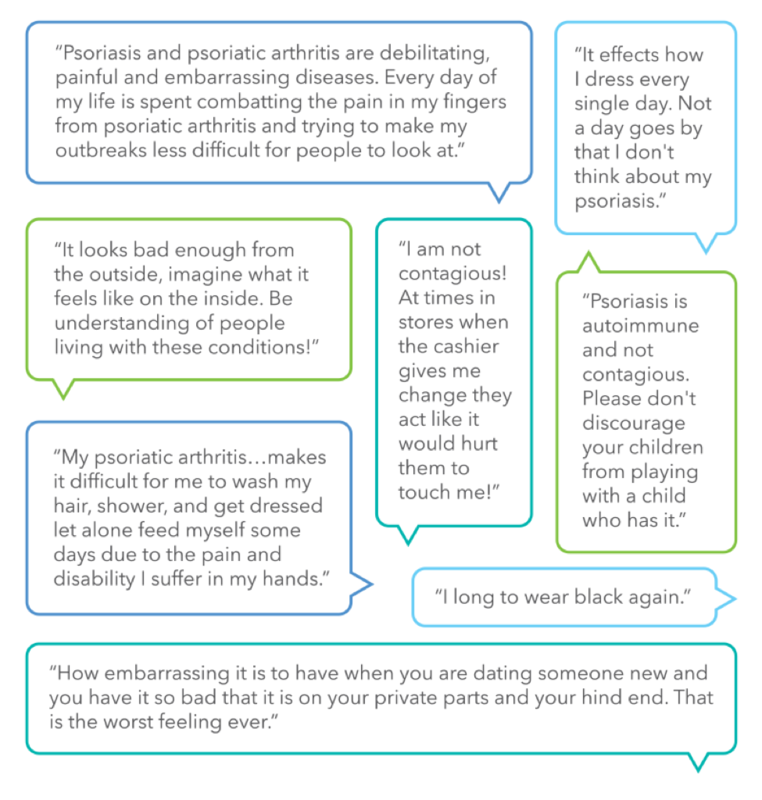 Share your experiences with psoriasis or psoriatic arthritis and learn from others living with the same condition. On PatientsLikeMe there are more than 5,600 members living with psoriasis and more than 2,000 members living with psoriatic arthritis. Log in to PatientsLikeMe now to join the conversation share your experience and learn from others living with the same condition.